Forever Lover Heart Pendant Necklace For Women. This gorgeous necklace features an exquisite heart pendant and hangs from an elegant ripple chain. The necklace comes with a matching pair of beatiful dangle earrings. Great for everyday wear and especially to special occasions. Also great bridal gift. Elegant and stunning, it is sure to attract attention! 1-Year Waranty. We offer a 1-year waranty: items with broken chains or missing/fallen off stones will be replaced free of charge. Mother's Day Love Heart Necklace Earrings Gift, Gift Present for Her. Stunning item for bridal or formal wear. Sky is part of HinsonGayle's acclaimed multi-use rope collection. Her luminous white freshwater pearls are interspersed with eye-catching chunks of blue aquamarine beryl. Sky is a unique and versatile piece composed of two endless strands that can be used separately or together with her sterling silver enhancer to create a myriad of distinct necklace styles. Both ropes can also be wrapped as fashionable bracelets. Some of HinsonGayle's favorite looks include wearing her strands individually or together as full throw-over length ropes, creating complex torsade twists, draping one rope full length while doubling the second strand, or simultaneously pairing a necklace with a wrap bracelet. Sky is the perfect piece of jewelry to never go out of style, as her versatility brings endless possibilities to her wearer. This head turning double-rope design is handcrafted from various shaped freshwater pearls, blue quartz crystals, and shimmering beads. Gemstones may have been treated to enhance their appearance and durability. An acclaimed HinsonGayle multi-use double rope design. 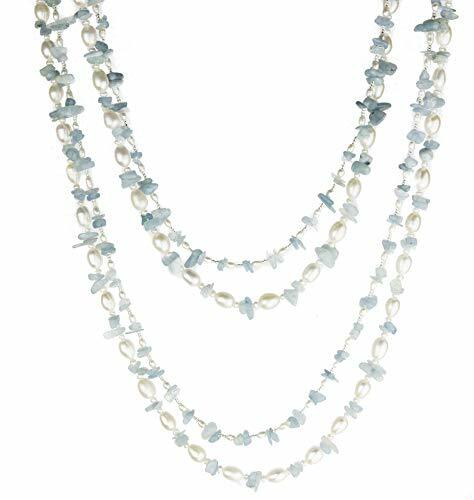 Sky's lustrous white pearls play beautifully with the soft blues of her aquamarine blue beryl chunks. The two unique and differently styled ropes will turns heads and tap into your creative side....wear them layered, individually or twisted with the included silver pearl shortener clasp. Click on the images for more draping ideas. There are even more ways than shown to wear her; go ahead, get creative and have fun! Handcrafted from aquamarine blue beryl chips, lustrous freshwater pearls, and glistening beads. Gemstones may have been treated to enhance their appearance and durability. Wear as necklaces or wrap bracelets. Includes two endless ropes that are approximately 40 inches each. The premium 925 sterling silver clasp is rhodium plated for enhanced scratch and tarnish resistance. Set includes a pair of matching dangle earrings. The classic sterling silver jewelry is simply beautiful. 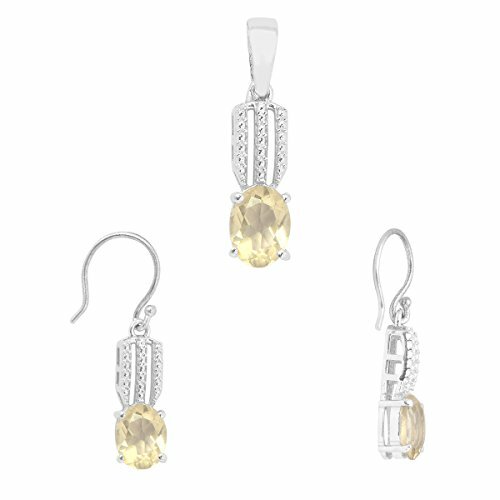 This gorgeous sterling silver jewelry set is sure to impress! The pendant showcases an elegant design displaying a single large oval-shaped royal blue rhinestone accented with small round sparkling white crystals. The delicate yet durable adjustable link chain measures 16.00in - 18.00in long and locks with a spring ring type of clasp for extra security. The stud earrings of a matching design feature push-back clasps. The jewelry set is crafted of sterling silver. This beautiful jewelry will make a wonderful gift for a lady. Get it for your loved one, or treat yourself for a classic timeless style. 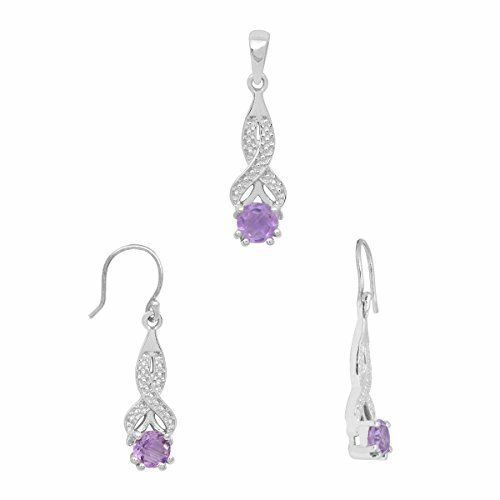 Look and feel great with this exquisite pendant and earrings set! The Sterling Silver Jewelry Is Hot! 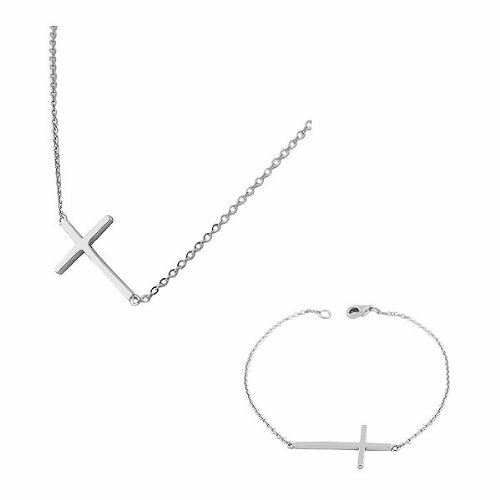 The pendant and bracelet showcase an elegant design displaying a Latin cross positioned horizontally and set onto a delicate yet durable chain. Pendant: The adjustable chain measures 15in - 17in long and locks with a spring ring type of clasp for extra security. Bracelet: The bracelet measures seven inches long and locks with a lobster claw type of clasp for extra security. The necklace and bracelet are crafted of sterling silver. This beautiful jewelry will make a wonderful gift for a lady. Get it for your loved one, or treat yourself for a classic timeless style. Show your religious devotion, and look and feel great with this exquisite necklace! The classic sterling silver jewelry is simply beautiful. 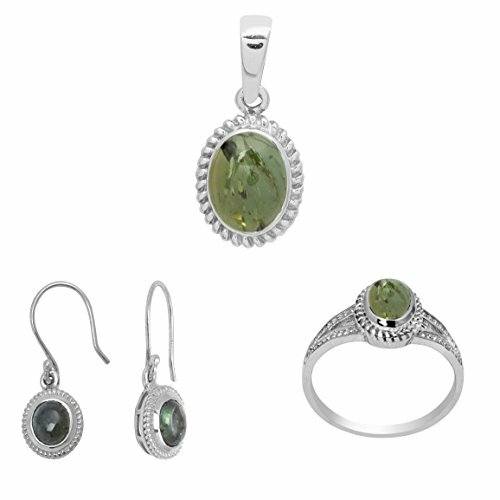 This gorgeous sterling silver jewelry set is sure to impress! The pendant showcases an elegant design displaying a single large oval-shaped emerald-tone rhinestone accented with small round sparkling white crystals. The delicate yet durable adjustable link chain measures 16.00in - 18.00in long and locks with a spring ring type of clasp for extra security. The stud earrings of a matching design feature push-back clasps. The jewelry set is crafted of sterling silver. This beautiful jewelry will make a wonderful gift for a lady. Get it for your loved one, or treat yourself for a classic timeless style. 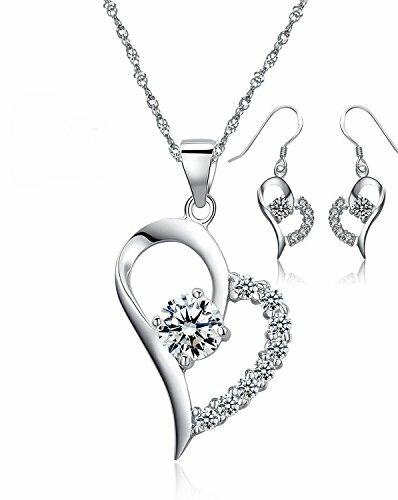 Look and feel great with this exquisite pendant and earrings set! The Sterling Silver Jewelry Is Hot! 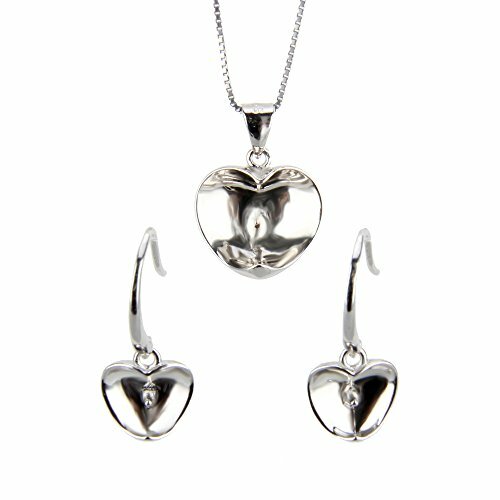 This gorgeous sterling silver jewelry set is sure to impress! The pendant showcases an elegant design displaying a single large pink rhinestone accented with small round sparkling white crystals. The delicate link chain measures 18.00in long and locks with a spring ring type of clasp for extra security. The dangling earrings of a matching design feature a fish hoop backing. The jewelry set is crafted of sterling silver. This beautiful jewelry will make a wonderful gift for a lady. Get it for your loved one, or treat yourself for a classic timeless style. 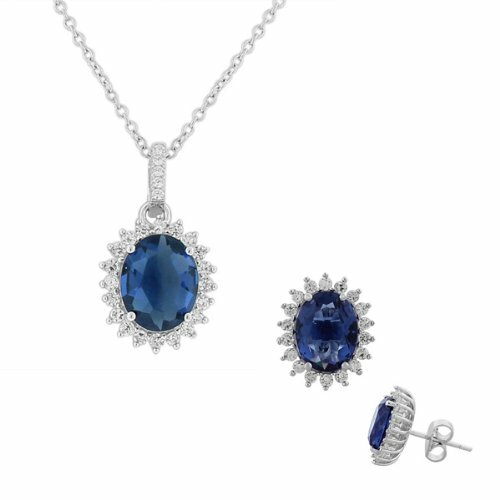 Look and feel great with this exquisite pendant and earrings set! Glitz and glam!. 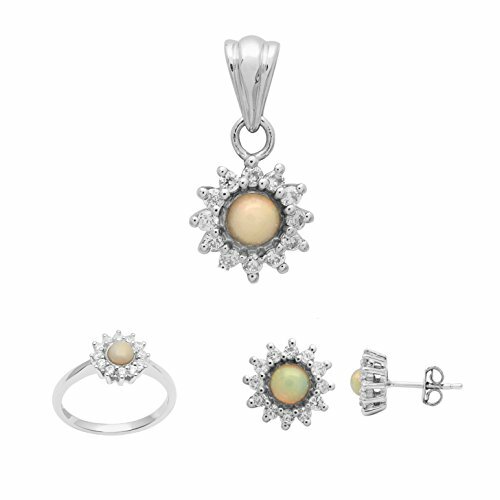 Get ready to shine in this sterling silver jewelry set. 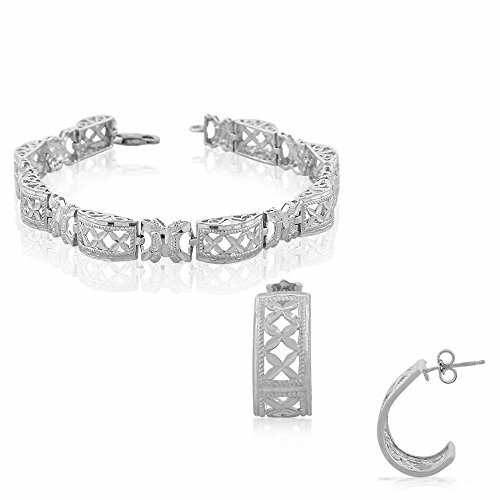 Finished with diamon-cut, the sterling silver bracelet and earrings provide the sparkle. Adorn yourself with this sparkling, superior and truly unique jewelry! The jewelry is crafted of .925 sterling silver. This jewelry set will make a perfect gift for a lady. Give it to your loved one, or treat yourself for a classic style. The set will make a wonderful addition to any jewelry collection. Look and feel great with this designer jewelry set! A lovely DIY gift for any special day. There are earrings fitting and pendant fitting. It has fine luster and top quality. This listing is only for 1 piece pendant fitting & 1 pair earring fitting without chain and pearl. Hope you like it. Any other questions, please feel free to contact us. Notice: This listing is only for 1 piece pendant fitting & 1 pair earring fitting without chain and pearl. 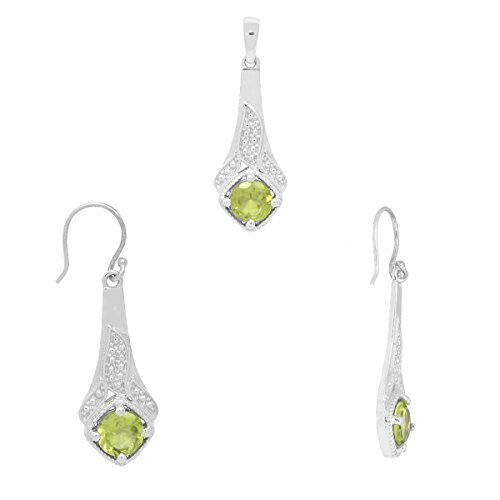 Brand: Shine Jewel Peridot Gemstone 925 Sterling Silver Pendant Jewelry Set For Women | Manufacturer: SHINE JEWEL PVT. LTD. Brand: Shine Jewel Aemthyst Gemstone Pendant Earring Jewelry Set | Manufacturer: SHINE JEWEL PVT. LTD. 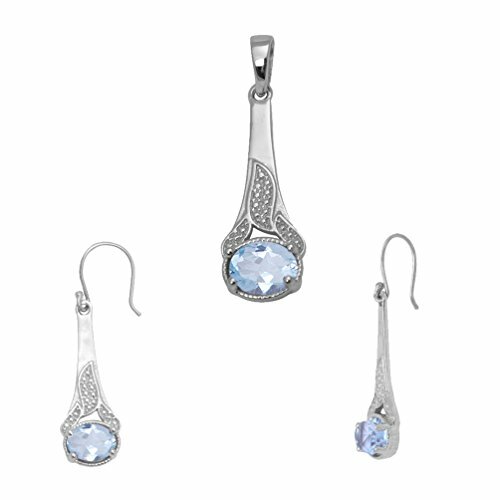 Brand: Shine Jewel Blue Topaz Gemstone 925 Sterling Silver Pendant Set With Earring | Manufacturer: SHINE JEWEL PVT. LTD. Brand: 2.10 Ct Ethiopian Opal 925 Sterling Silver Pendant Jewelry set With Earring | Manufacturer: SHINE JEWEL PVT. LTD. 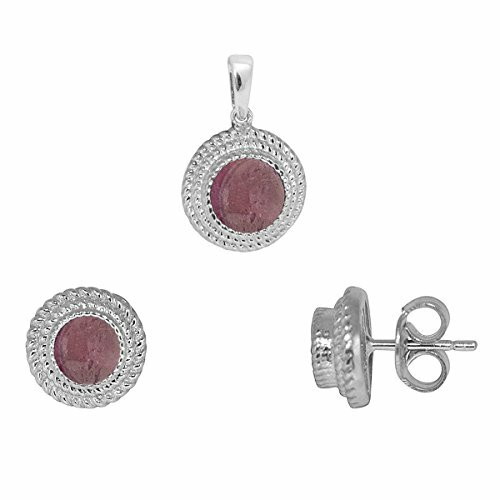 Brand: Shine Jewel 925 Sterling Silver Pink Tourmaline Pendant set Jewelry | Manufacturer: SHINE JEWEL PVT. LTD. Brand: 3.80 Ct Ethiopian Opal White Topaz 925 Sterling Silver Pendant Stud And Ring Jewelry Set | Manufacturer: SHINE JEWEL PVT. LTD. 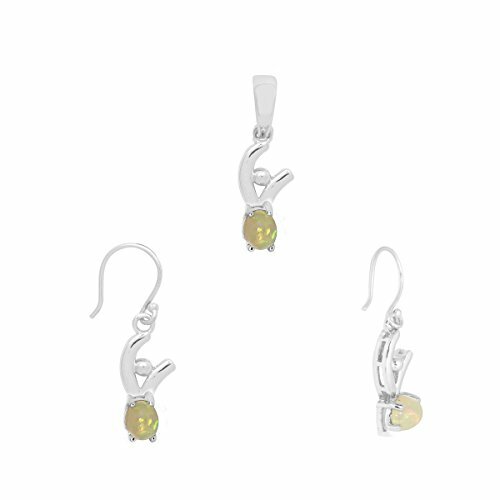 Brand: Shine Jewel Lemon Quartz Pendant Earring Jewelry Set In 925 Sterling Silver | Manufacturer: SHINE JEWEL PVT. LTD. 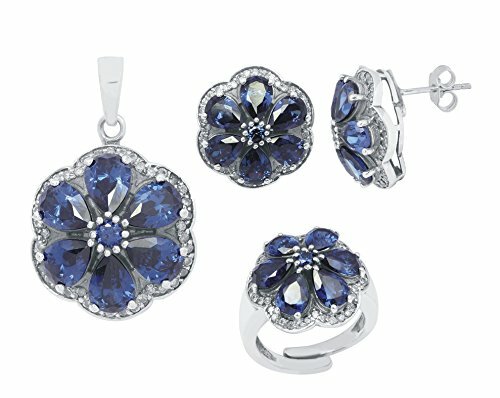 Brand: Shine Jewel Royal Blue Cubic Zirconia Party Wear 925 Silver Pendant Set With Ring And Earring | Manufacturer: SHINE JEWEL PVT. LTD. 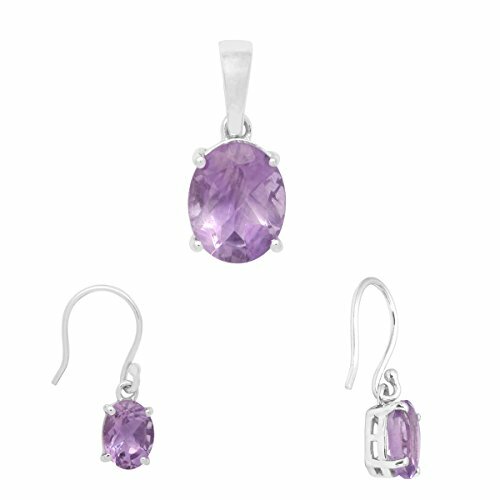 Brand: Party Wear Purple Amethyst Gemstone 925 Sterling Silver Pendant Set With Earring | Manufacturer: SHINE JEWEL PVT. LTD. 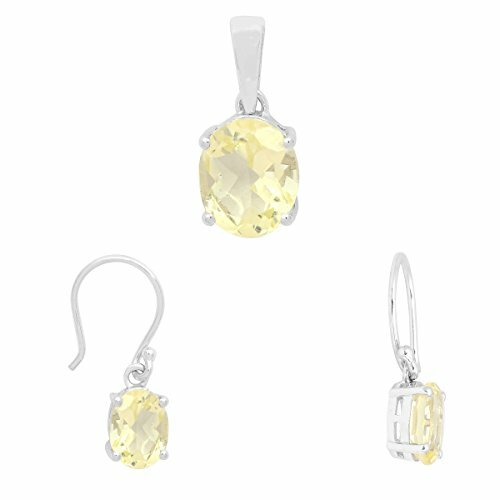 Brand: Shine Jewel Oval Cut Lemon Quartz Pendant Earring Jewelry Set In 925 Sterling Silver | Manufacturer: SHINE JEWEL PVT. LTD. 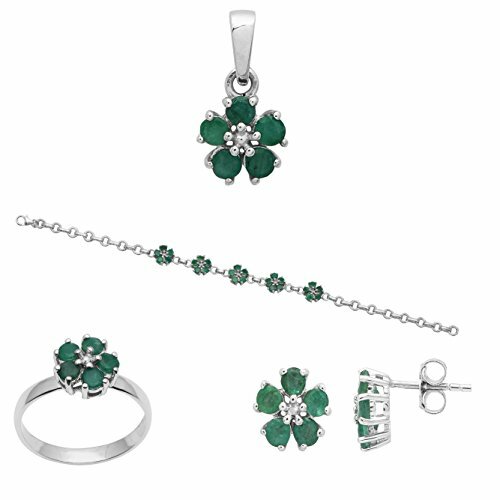 Brand: Shine Jewel Green Tourmaline 925 Sterling Silver Pendant Earring And Ring Jewelry Set | Manufacturer: SHINE JEWEL PVT. LTD.